Why to accept only one day a year when you can become a Christmas witch and enjoy the whole Christmas season? 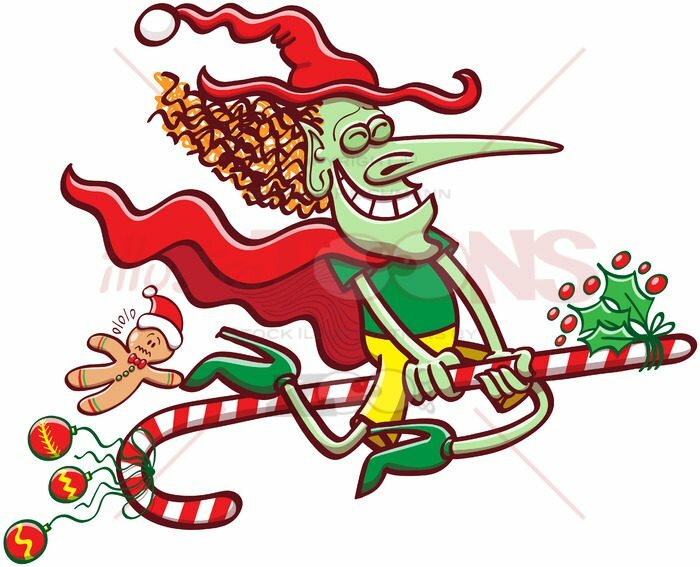 Christmas witch having fun while flying on a candy cane. She wears a mix between witch and Santa hat, a red cape and green high heel shoes. This witch with green skin, looks absolutely happy and seems to be enjoying a lot. She celebrates Christmas while flying on a candy cane decorated with Christmas baubles and ornaments. To be even more convincing, this naughty witch took a terrified cookie man for a ride. Download this awesome Royalty-free stock image in 3 easy steps!